Cardiff based inclusive theatre company, Hijinx, have partnered with top 100 UK law firm Hugh James for What Is Discrimination?, a brand new corporate training video starring neurodivergent actors and cameos from the law firm’s employees. 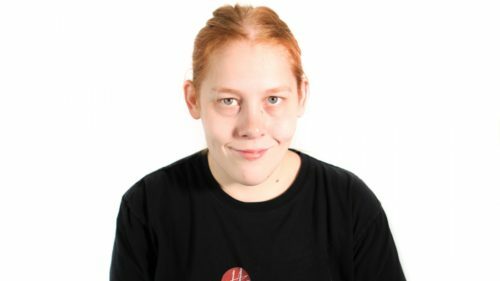 The innovative video, which premiered on Monday 21st January, seeks to break stereotypes and shine a light on the seriousness of workplace discrimination by putting actors with learning disabilities and/or autism centre stage. 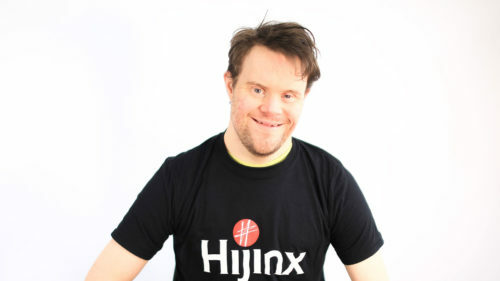 Hijinx, who cast learning disabled actors in all their productions, have over 60 professionally trained actors with Down’s syndrome, Autism, Asperger’s and other learning disabilities as part of their casting platform. 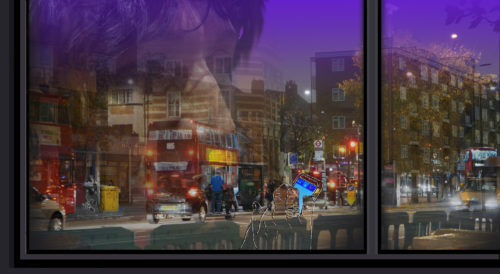 Actors Tom Powell, Fiona Wilson and Simon Gravelle all train at Hijinx Academies, which work to equip neurodivergent actors with the skills necessary to navigate the world of professional acting. In addition to training for and working on theatre and film productions, Hijinx Actors around Wales are involved in providing training for businesses in how to communicate well with vulnerable customers, clients, patients and service users. “We want to see more leading companies create truly inclusive training materials for their staff, like Hugh James have done with ‘What is Discrimination?’, which explores six different types of discrimination in the workplace: direct, indirect, harassment, victimisation, associative and perceptive. “All of our films are bespoke projects for our clients and are designed to fulfil their particular criteria. Hugh James plan to roll it out to their 700+ staff in Cardiff and London, who have to undertake equality and diversity training each year. This film is just the tip of the iceberg of ways in which learning disabled actors can play a central part in staff training, whether around equality and diversity, communication skills or other sector specific material. Furthermore, Hijinx hopes the film will inspire and provoke other progressive, bold organisations in the public and private sector to follow suit. 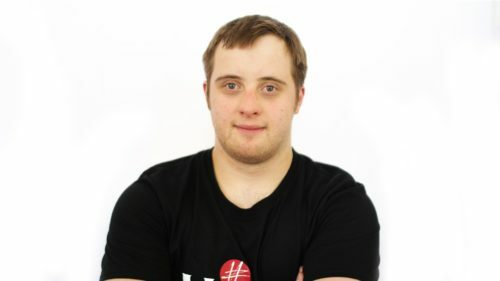 The film formed part of a wider Equality and Diversity training partnership between Hugh James and Hijinx, which also included a series of training workshops focused on helping frontline staff communicate well with learning disabled and vulnerable clients. Hijinx are on a hiatus, having just been awarded the 2019 International award from The Stage in recognition of their fast-growing global presence in the arts industry. 2018 saw Hijinx visit 67 cities in 16 countries, with the ongoing tour of the hit show Meet Fred, and a ground-breaking collaboration in Africa. 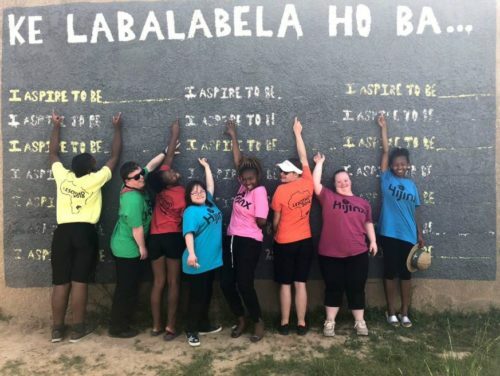 In February 2018 four Hijinx actors with Down’s Syndrome went to Lesotho to create an inclusive theatre production with local drama students Able To Act. Meet Fred, Hijinx’s show about a potty-mouthed puppet, toured to over a dozen European countries before heading off to the US, South Korea and China. It has now been translated into eight languages and has been performed more than 200 times. Whilst in China and South Korea the company facilitated workshops and seminars with local learning-disability groups to share their unique methodology and business model. There are plans afoot to roll out that model across a number of different countries. Hijinx new physical theatre production Into The Light stars an inclusive cast of actors from Wales, Italy and Spain. In collaboration with Italy’s Teatro La Ribalta and in association with Spain’s Danza Mobile, as well as the renowned Frantic Assembly and Sherman Theatre. It promises to be a bold and beautiful production on the universal struggle to be seen and heard.